The wait is finally over ! iOS 7 has beautifully delighted apple lovers ! 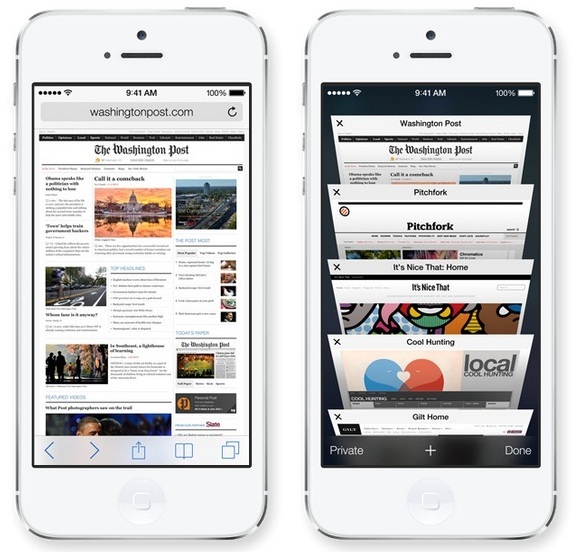 Apple described that iOS 7 is a pure representation of simplicity where everything has been thought through. This launch is being marked as a significant moment in Apple’s progress after the passing of Steve Jobs, founder and CEO of the company, in 2011. Just swipe upwards on any screen and a new pane will appear with an all new control center allowing you to switch to Airplane mode, control Bluetooth, Wi-Fi, adjust brightness of the screen and play or skip music.The best part is this control center can even be accessed from the locked screen.iPhone users had to rely on third party Torch Apps to help them search for their keys in the dark. Wth iOS 7 Apple finally set up a torch facility as a standard feature to the iPhone.At the touch of a button, users will be able to turn on the LED flash on the back of the phone. 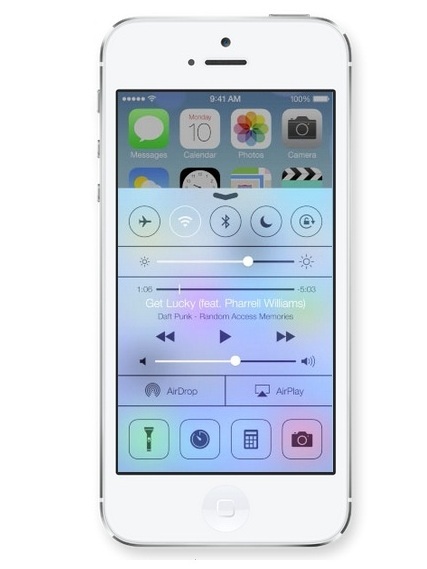 The flashlight button can be accessed through the new control centre. Just touch the little half moon icon will leave you free from being pestered by emails, messages and phone calls. 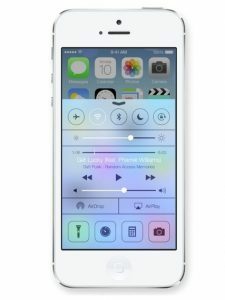 Apple has moved the Do Not Disturb switch to the Control Centre which be accessed and switched on far more easily. Schedules can also be set up through the Notifications setting menu, along with exceptions that will allow some calls from important contacts get though. 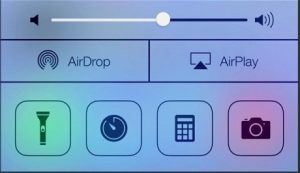 Apple came up with a new feature called AirDrop for sharing photographs, videos, contacts and documents on the iPhone which had been a tedious experience requiring a text or email. 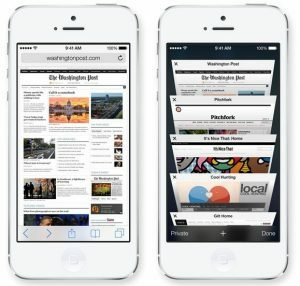 But this will only be available on devices newer than the iPhone 5 or fourth generation iPads. 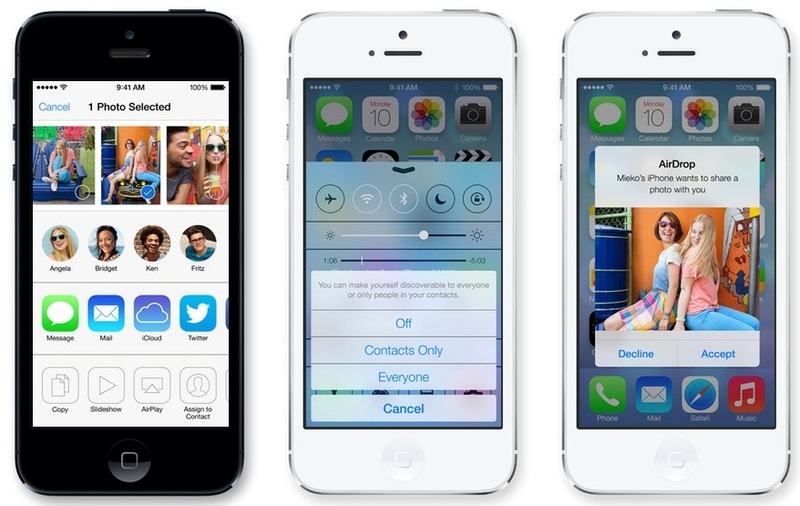 The new AirDrop feature will allow contacts, pictures, videos and documents to be shared via bluetooth and wifi. 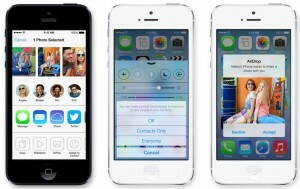 iTunes Radio will allow users to stream radio stations on their iPhone and iPad, along with other Apple devices. Users can curate the music based on preferred artists, songs and genres.This feature will only be available to users in the US to begin with and there is no timescale of when it will be rolled out to other countries. Simply swiping down on the home screen will open a search box and the keyboard, allowing you to search without having to swipe to a whole dedicated screen as in previous versions of the software. The wallpaper behind the home screens will allow now panoramic images to be displayed. As you move the device, the wallpaper will move with you, revealing new views. Photos will also be organised in a new way, allowing them to be grouped by date, location and collections.Those with an iPhone 5 will also be able to use a wide range of Instagram-like filters on their cameras. Safari is redefined in a smarter style .The unified smart search field allows you to see more content than ever on your screen. And with a swipe, you can go back or forward a page. It’s all designed to make your work simpler and faster. iOS 7 has improved switching between as well as closing apps : no more stabbing at those tiny crosses. You can also use updates while they’re updating and much more ! 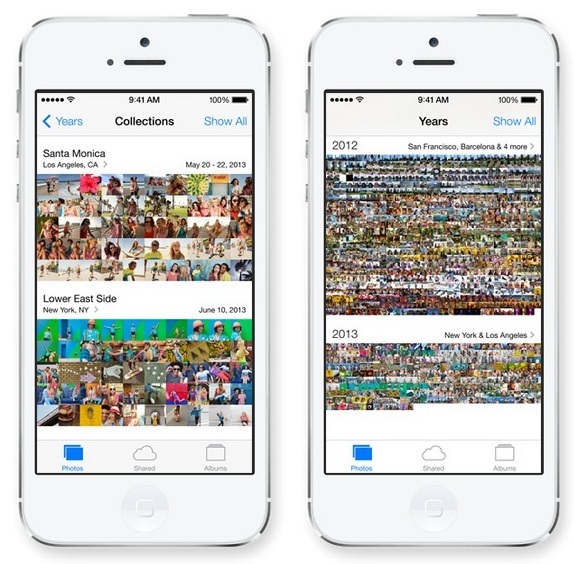 iOS 7 is a one-way trip you can’t downgrade to iOS 6. Some people even wait weeks for the first minor iOS 7 update, which generally addresses various bugs and glitches which people experience with the initial installation. This is going to sound crazy but with the launch day traffic if you’re able to exercise a little patience, I’d suggest waiting until tomorrow.